A national drowning prevention strategy that aims to halve the number of fatal incidents on or near water will be launched on 29 February by Transport Minister Robert Goodwill MP. The document, created by members of the National Water Safety Forum* (NWSF) is the UK’s first drowning prevention strategy, created in response to the World Health Organization’s report on global drowning, which recommended that every nation should have a drowning prevention strategy. About 400 people drown and a further 200 take their own lives in our waters in the UK every year; that equates to one accidental drowning every 20 hours. Activities in and around water are safer now than ever, but 44% of drowning fatalities happen to people who had no intention of entering the water. The NWSF will be asking organisations and individuals to sign up to a pledge to reduce drownings; to contribute towards the shared objective by making the National Strategy a local priority and by actively supporting the intention of the Strategy by raising the profile of drowning in the UK. “The number of people drowning each year is shocking and must be cut. As an island nation the water plays an integral part of our lives. But the sea, rivers, lakes and canals are all too frequently killers and action needs to be taken. ‘Hardly a day goes past without some sort of human tragedy taking place in UK waters. Around four-hundred people accidentally drown each year in the UK – this is unacceptable and it’s a problem that we need to face up to together. A new report by the Child Death Review Programme at Public Health Wales has found a link between drinking alcohol and drowning among young people. The report also suggests that closer and appropriate adult supervision may help prevent drowning in some cases. The ‘Thematic review of deaths of children and young people through drowning’ includes recommendations to support the prevention of deaths from drowning. A key recommendation emerging from the report is that organisations in Wales need to work together in a new national forum to improve water safety. The report also highlights the need for consistent guidance on safer bathing for children and young people with epilepsy and their carers, and to support healthcare professionals. There is currently no widely shared consensus advice on safer bathing for people with epilepsy. The thematic review looked at the deaths of children and young people from birth to 24 years between 1 October 2009 and 30 September 2014. 26 deaths were considered in the review, which included individuals who were normally resident in Wales or died within Wales. The report finds that majority of deaths occurred in older children and young people, with 21 deaths (81 per cent) occurring in individuals aged 12–24 years. These deaths tended to occur in open water environments. Five of the deaths (19 per cent) were children aged 11 years or under. These deaths tended to occur in closed water environments, like pools. The report also finds that the majority of deaths were in males, with 21 (81 per cent) occurring among this group. Almost one third of deaths (31 per cent, eight of the 26) may have been linked to possible alcohol consumption. The Child Death Review programme in Wales aims to identify and describe patterns and causes of child death including any trends, and to recommend actions to reduce the risk of avoidable factors contributing to child deaths in Wales. More information about the programme is available on their website at www.publichealthwales.org/childdeathreview. Almost £1 million has been awarded by Maritime Minister Robert Goodwill today (18 February 2016) to 51 UK charities to support water rescue services in local communities. The government scheme gives voluntary groups crucial funding for new equipment and training to support their rescue efforts on and around inland and inshore waterways. The money is for the purchase of lifeboats, launch vehicles, rafts and safety gear, as well as going towards training and other costs to support lifesaving efforts. This is the second year of the 5 year scheme. In January 2015 more than £800,000 was awarded to 21 charities across the UK. Today marks 125 years of School Swimming and the ASA were joined by Sports Minister, Tracey Crouch to celebrate the occasion. Also attending the School Swimming anniversary at Everyone Active’s Westminster Lodge Leisure Centre were double Olympic gold medal winner Rebecca Adlington OBE, former World Champion Mark Foster and 2004 bronze Olympic medallist Steve Parry. The Olympians dressed in Victorian costumes and gave 125 school pupils from the local area to a Victorian-style school swimming lesson. They then changed into 2015 costumes to teach a modern lesson to the children. They taught speed swimming, water polo and synchronised swimming. The importance of having the knowledge, equipment and skills required to work safely near water was highlighted during an event staged by the Institution of Occupational Safety and Health (IOSH). The Institution’s Rural Industries Group explored the risks that employees face when working close to open water, and whether a blind spot exists in people’s perception of the scope and scale of the issue. High-profile speakers shared lessons learned from near misses and accidents, while experts also demonstrated water rescue and recovery techniques to more than 70 delegates. Ray Cooke, Head of the HSE’s Construction Sector Safety Team, said that very few of the 400 people who drown in the UK annually do so as a result of working near water. He added, however, that the relatively small number of deaths didn’t reflect the seriousness of the issue. Ray said: “We have no idea how many near misses there are, or how many people are suffering health issues as a result of contracting waterborne diseases. “It is critical to plan how to deal with the operation in the first place. The Royal Life Saving Society UK (RLSS UK) is warning UK students to steer clear of walking by or entering water when under the influence of alcohol. The drowning prevention charity is launching its national Don’t Drink and Drown campaign on 28 September to 4 October to warn drinkers, particularly students, to act responsibly near water after they have been drinking – and to make sure they and their friends avoid walking home near bodies of water. RLSS UK has also launched a short, powerful and thought provoking film to mark the start of the Don’t Drink and Drown campaign. The film sees the effects of alcohol on a young person when in the water. It aims to raise awareness of the dangers of being near water when under the influence of alcohol. The number of accidental drownings in the UK has fallen to its lowest level since records began. There were a total of 338 water-related deaths from accidents or natural causes across the UK in 2014, according to a report published today by the National Water Safety Forum (NWSF). That number, from statistics published by NWSF, has fallen from 381 in 2013, and is the lowest figure since data collection began in 1983. The NWSF’s Water Incident Database (WAID) breaks down drownings and other water-related deaths by activity, age and location type. The highest proportion of those people who have lost their lives in 2014 did not intend to be in the water – the main activity being undertaken before they died was walking or running alongside water (138 deaths, predominantly in rivers and coastal water), while 36 people drowned while swimming in unsupervised places, the next leading cause. Last year’s figures show that, like previous years, males (271) are more likely to drown than females (71), with a higher number of deaths for males than females in every single age bracket recorded. Men aged between 25-29 are a particular concern, with 29 dying in 2014. Children aged up to 19 account for just over one in 10 of all deaths (38), with 21 of those in the 15-19 age bracket. July saw the biggest spike in the number of deaths (43, up from 20 in June and 29 in August), while January was also a problem month, with 38 people killed. George Rawlinson, chairman of the NWSF, said: “It’s really positive that we’re starting to see a decline in the numbers of accidental drownings but any loss of life is tragic and there’s more that we can do to reduce these figures further. WAID provides vital insight that helps interested groups shape interventions to protect those people most at risk. “The NWSF and their respective organisations work tirelessly to promote education and water safety and together are now developing a strategy that could be adopted nationally; this will provide an important framework for identifying how improvements in safety and education could be made to tackle this problem. 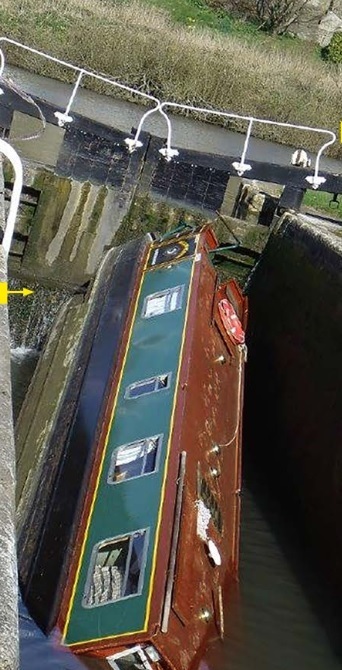 The latest MAIB safety digest was published earlier in April with reports into nine recreational craft investigations. The consequences of failing to properly plan a voyage on a large merchant ship are graphically described in Case 2 but Case 20 describes a similar outcome, this time on a leisure vessel. Previous Safety Digests have regularly highlighted the importance of wearing lifejackets when working on the open decks of fishing vessels and leisure craft. Fitting spray hoods to lifejackets and investing in Personal Locator Beacons (PLBs) and an EPIRB can also save lives. Fitting a liferaft, even though one may not be required by regulation, is also a smart move – should the worst happen, why get wet when you can remain relatively dry and warm until help arrives? Any accident can be life changing – not only for those directly involved but also for their colleagues and loved ones. Therefore, before commencing any potentially hazardous task, whether on deck, in the engine room, on a large ship or small, get into the habit of asking yourself “what’s the worst that could happen?” then check that the necessary barriers are in place to protect yourself, the ship and everyone on board. The full digest can be read here.